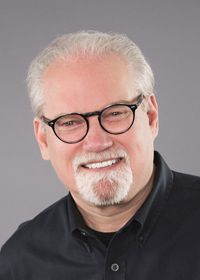 Jerry Jenkins, the writer of the New York Times best-selling “Left Behind” series and former editor of Moody Magazine, has signed a Letter of Intent with the Evangelical Press Association to establish the Jerry Jenkins Scholarship Fund. Jenkins has committed a $10,000 donation to EPA that will be awarded to deserving journalism students over a five-year period, beginning in 2016. Jenkins has a rich history with EPA, first becoming a member at age 22 when he joined Scripture Press as the managing editor for Power for Teens (later known as FreeWay), a weekly Sunday School paper. He later became the executive editor of Inspirational Radio & TV Guide before joining the staff of Moody Monthly in 1974 as the managing editor, eventually becoming Vice President for Publishing for Moody Bible Institute. He was also the founding editor of Today’s Christian Woman magazine. Jenkins was active in EPA by being part of convention planning committees and serving on the board. He was President of the association in 1980 and 1981, and he has emceed multiple annual conventions. Jenkins is now enjoying a prolific career as an author, having written 187 books, including 21 New York Times bestsellers (seven debuting at #1), with more than 70 million copies sold. He has had unprecedented success in both fiction and nonfiction. He’s been a biographer to such notables as Hank Aaron, Orel Hershiser, Walter Payton, Meadowlark Lemon, B.J. Thomas and many others. He also assisted Dr. Billy Graham with his memoir, Just as I Am. In 2001, Jenkins purchased the Christian Writers Guild from former EPA Executive Secretary Norman Rohrer. He recently launched the Jerry Jenkins Writers Guild to coach aspiring writers at JerryJenkins.com. Jenkins’ motivation to train writers is behind his desire to provide scholarship funds for journalism students through EPA’s scholarship program. The Evangelical Press Association awards scholarships each year to students preparing for a career in print journalism. EPA believes that Christian students should be prepared to be outstanding journalists and communications professionals, equipped with a biblically-based philosophy of journalism and the skills, knowledge and experience they will need to effectively communicate a Christ-centered worldview to their audience. The Jerry Jenkins Scholarship Fund will enable EPA to double the amount awarded each year. Eligibility details and an application form for the Jerry Jenkins Scholarship and the Mel Larson Memorial Scholarship are posted at evangelicalpress.com/scholarship. The deadline to apply for 2016 is March 10, 2016. The winners will be announced at EPA’s annual convention on April 8, 2016, in Lancaster, Pennsylvania. Founded in 1948, the Evangelical Press Association is a professional association of Christian print and digital publications — magazines, newspapers and newsletters — and content-rich websites. Learn more at evangelicalpress.com.